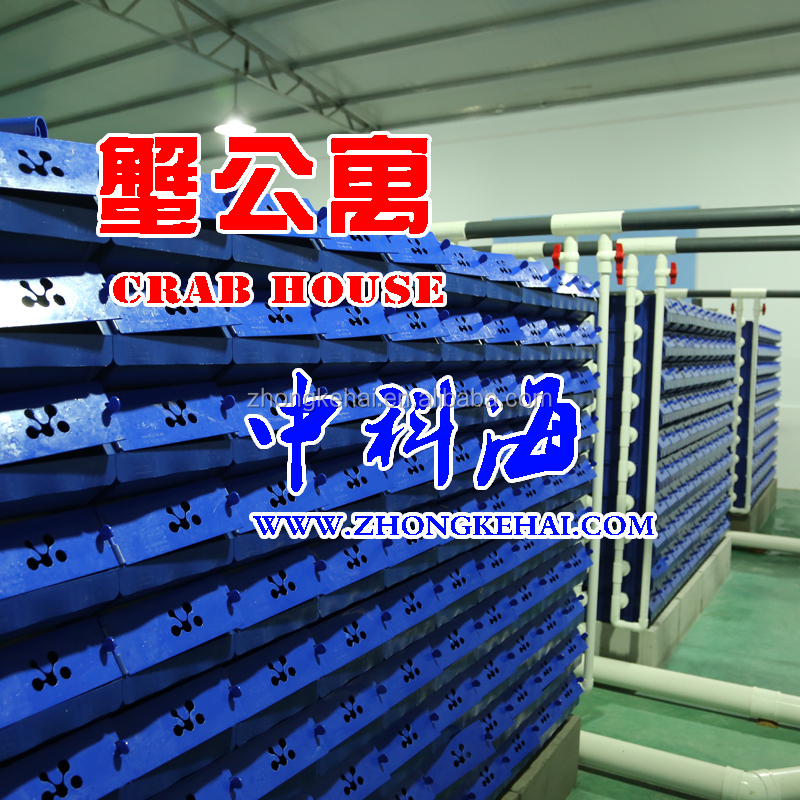 Scylla serrata mud crab room is by the Qingdao zhongke water treatment co., LTD., exclusive research and development production, breeding crabs and cultivate an indoor soft shell crab factory circulating water aquaculture equipment, is a patented product with independent intellectual property rights.Can be used to do a crab cultivation, fattening, temporarily keep up having a soft shell crab, etc., can also be used for other benthic aquatic animal breeding. In the group with their unique research background, and strong technical force as the backing, to more than 10 years has always been to provide customers with advanced science and technology, a complete design, strict quality control, professional installation and debugging, and thoughtful after-sales service, and for the customer design, manufacture various non-standard, special specifications of products, all-round to meet the different needs of customers for products. USES the food grade PP (polypropylene) new material seiko injection, with home lunch box in the microwave material is the same, is a very safe non-toxic materials, can be safely used in food industry.In line with the European and American standards for food safety in Hong Kong. 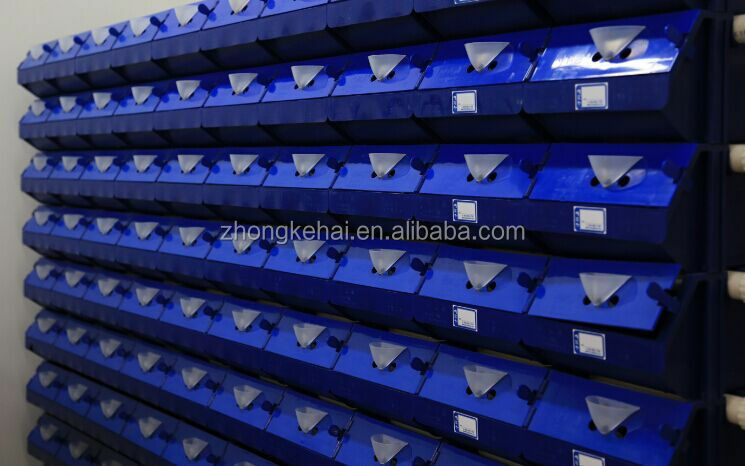 What are the dimensions of each crab box? 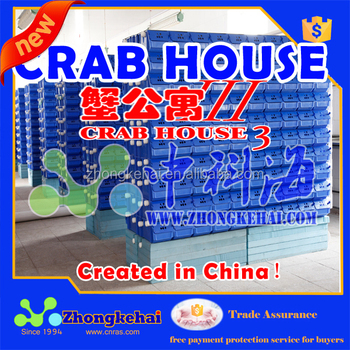 We provide 2 # crab apartment, the inside size of about 32 * 20 * 14 cm, applicable to the general breeding requirements.Usually offer 500 grams of crabs live and below. Can do soft shell crab? 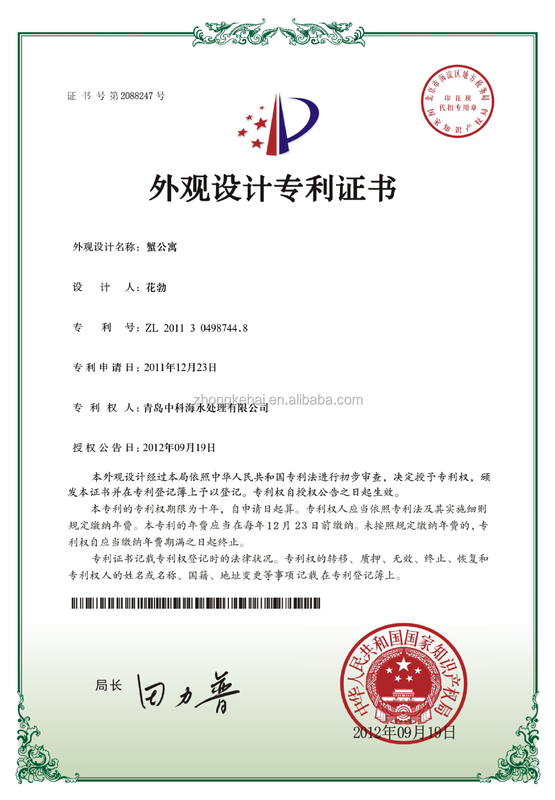 Is very suitable for the cultivation of the soft shell crab crab apartment, and we will provide the corresponding technical guidance. generally need to form a complete set of water quality purification equipment have? We recommend that users usually use the following equipment to deal with water quality: 1, using microfiltration machine and high-speed coarse filtering sand cylinder;2, using protein separator for gas enrichment soluble substances (only applicable seawater breed);3, using biological tower or biological decomposition of ammonia and other harmful substances;4, use ultraviolet sterilizer disinfection sterilization;5, the use of refrigeration or heating equipment such as adjust the water temperature, in order to realize the cultivation throughout the year.